SYNOPSIS: Unfairly left to the cinematic junk heap this is one of my favorite "bad films"! A weird kiddie TV host, Mr Rabbey, looks like a man/child and has the emotional level of a 10 year old! He's great at his hosting job (sort of a local "Howdy Doody" type show with puppets) but can barely function in the adult world. The underaged guests on his television program are the focus of his life's work. Which is why he snaps when he finds out that some of them are being abused and mistreated. He becomes an angel of death and punishes the bad parents! A few police detectives slowly pursue the killer. The success of this film falls squarely on the shoulders of it's star: Tom Basham. With only a handful of film credits to his name this is his one-hit-wonder performance. A psychotronic academy award winner if you will. His bowl haircut, intense eyes and unnaturally rosy cheeks are just the start. Speaking in a childlike lisping tone most of the time he can switch to creepy and menacing in a flash (Crispin Glover eat your heart out!). The scene where he has dinner with a friend and becomes positively orgasmic at the site of a giant piece of chocolate cake is a classic. With a bigger budget and a little more gore content this could have been well known trash classic. 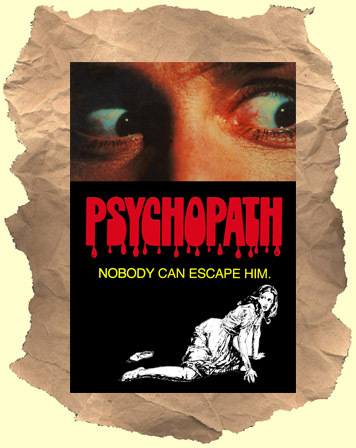 Amazingly, there was a proposed sequel/remake conceived by and starring none other than Joe Spinell (Maniac)!! The rare promo trailer (directed by Buddy Giovinazzo) can be found on the recent double dvd release of Combat Shock. Highly recommended!